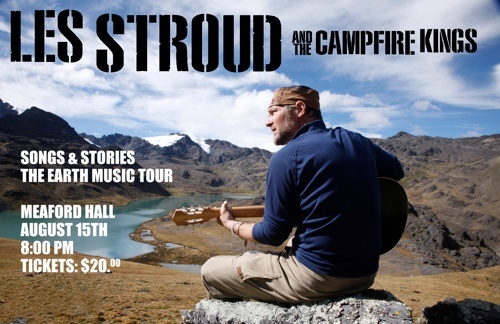 Les Stroud and The Campfire Kings are playing tomorrow night in Meaford at 8 p.m. Tickets are $20. Meaford ontario!I'm bringing the full video/talk/music show thr tmrw nite at the Meaford Hall. Don't miss it! !Come and enjoy and say hi!